Once upon a time, there was no effective treatment for Rheumatoid Arthritis. Eventually, various substances were found to assuage some symptoms, at least slightly. And then one day, doctors thought they had found a cure in cortisone. However, they soon learned that they were mistaken. During our lifetime, substances have actually been engineered by scientists to bring at least some improvement for most people with RA. 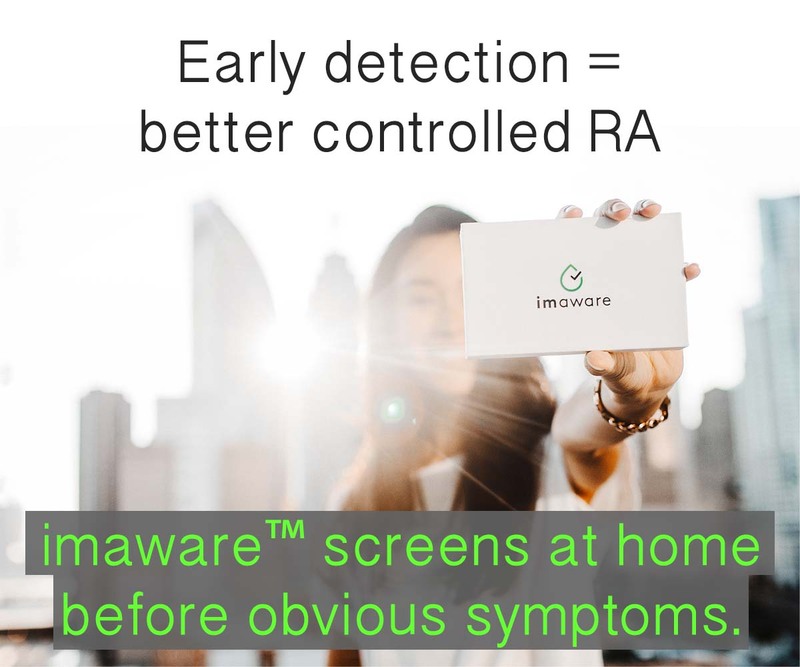 Symptoms of RA can often be decreased enough to enable some people to live a life that can appear almost normal – to total strangers anyway. This has brought notions of remission into the scope of treatment goals for RA. 1) The first goal was clear: make Rheumatoid Arthritis patients feel better. 2) Disability was later treated with surgery. 3) Increasingly, however, the goal of treatment for RA has become to thwart joint damage. 4) More recently, “clinical remission” or “low disease activity” has become a goal of RA treatment. 5) I believe it is also important to discover ways to prevent the harm that Rheumatoid Arthritis does to other body systems in order to extend life expectancy. 6) My desire is to make a cure for Rheumatoid Arthritis the primary goal of research and then treatment. If we are not sick, why do we still have to take medicine? Here is where you are glad that this blog is written by a real live person with rheumatoid disease. Why on earth do they get to call this remission? 1) RA’ers in clinical remission are expected to continue to use strong medications (including DMARDs and steroids) which have powerful side effects and can cause serious damage. They live with the side effects, expense, and regular blood tests that the medications bring. 2) The damage of Rheumatoid Arthritis can continue during the so-called remission to both joints and other body structures. RA probably will still affect the lifespan of the patient. 3) What if cancer patients in remission had to continue receiving chemotherapy, radiation, or surgery? Would they question the use of the term remission? Maybe remission is just not the correct word. Since there is a reduction of symptoms, and contraction of some indicators, and a slowdown of the disease progression, I have thought of a better word. If Rheumatoid Arthritis were an economy, they would call it a recession. How about calling it a “clinical recession”? I agree that Remission is not the best word choice. I sometimes lose track of myself and think that I may somehow get better, and then I remember that I am going to be dealing with this condition for the best of my life – Reality for you. 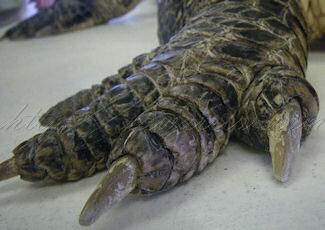 That alligator picture is one I can relate to. Someday, there will be a cure, if not our lifetimes, for future generations – that is my hope. I like the new site and wordpress is great (I just started using it instead of blogger for my new blog and I really like it). I wish that doctors would try to get to a better standard of reduction of symptoms as well, since at the moment at least, mine is content for me to be in more pain than I am really ok with. He considers me to be “in remission” (or he did until about last month when I had a mjor flare) but even before that I had nearly an hour of morning stiffness and a fair amount of pain on certain days, and I am an RA “newbie” if you will. For a while I was almost pain free and I did have a marked increase in energy, but they couldn’t maintain that. (though it was great while it lasted 🙂 ) So it seems there is also a need, not just to change the terms they use, but also to define the clinicial definition of them in way that might better match the patient’s way of life….I hope that made sense…. “Clinical recession” – Yes, that sounds more accurate! Or how about “clinical repression” since the so-called “remission” requires active force (chemicals, lifestyle sacrifices, etc.) to hold down symptoms and damage from continuing disease activity. I am MORE than “glad that this blog is writ­ten by a real live RA’er.” I thank God for your blog, and thank you for giving a voice to RA’ers. Some people have a gift for being able to put things into words. In the complex world of RA, you are one of those people! I’m right there with ya!!! Kelly, first off I’d like to say I like the new look. I agree and have felt this way for several years. My wife’s cousin has JRA and my wife and I got into a heated debate over the fact that his doctors told him he was in remission. This term is wrong and the way the medical field deals with us is wrong. I’m glad you brought this up. It’s frustrating being on our side of this. I wish I understood the motivation behind the eagerness to label folks as in “remission.” This is one of the mysteries which keeps me busy. I’m so glad I found your blog (through a link on the facebook group). I asked my new rheumatologist, who’s the head of rheumatology at my hospital, what his definition of ‘remission’ was the last time I saw him, because he kept telling me I was in it. He said it meant having no actively flaring swollen joints. That is, no swollen joints that he can see. I was absolutely furious at his answer. Just because my wrist isn’t the size of a grapefruit means that I am fine? Not the case. The scary thing is that his philosophy seems to be the less medication the better as long as you’re in ‘remission’. I like ‘repression’ or how about just plain I feel better than last month, better enjoy it while it lasts! Looking forward to reading more well-written, well-researched, well-thought out posts! I agree with you that it is completely ridiculous. I wish I understood the motivation to say that we are so much better than we are. What is to be gained? Here and there, I am finding more and more evidence that many are like you: experiencing less swelling, but still having the same disability and pain. Since it makes me feel “furious” also, I am not giving up until I find answers. I would still like to stick to the term ‘remission’. It would keep reminding the treating rheumatologist of his goal. Diagnose a patient early, treat her agressively & I’m sure the patient would go into meaningful remission. The rheumatologist who told me that my blood work indicated that I did not have RA, and never did (despite being diagnosed at a reputable AFB and at Duke University Medical Center, and by several other doctors), and thus led me to believe that I was in remission (though she never used that word, because I’d never had RA, remember?) and needed no treatment…had severe RA. I’m still shocked, 8 years later, that someone with RA could do this sort of thing to a RA patient. She sent me out of her office while I was in extreme pain. One of the nurses even told me that I was “white as a sheet” as I was leaving. Believe it or not, that was one of the most devastating things that had ever happened to me. She was absolutely puzzled why I was crying when she told me that. How could I possibly be sad that I didn’t have RA? She took away my enemy. I no longer knew what I was fighting. It was like swinging away in the dark as something was attacking me. The symptoms did eventually mostly go away, and I was “okay” for the past few years, but a lot of damage had been done by that time, so I still lived with a lot of pain. Believe it or not, I’ve been in a similar situation – accused of not having it because of fickle bloodwork or since the “right” joints didn’t appear swollen in the “right” way (top) from across the room – more than 1 rheumatologist has said such ridiculous things to me. THEREFORE, it makes it easy for me to say, I know your story is incredible, but “I BELIEVE YOU!” I wish I could say that this is rare, but I hear these things from patients a lot. And thanks for sharing your “remission” experience. 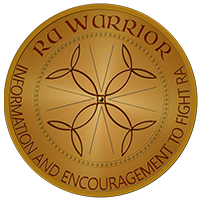 It seems like RA is predictably unpredictable & it helps others to read your story. I’ve had RA for2 months now and I’ve seen the doctor twice. What I don’t understand is how can a doctor tell that my symptoms are improving if I take 500 mg. of Naproxen everyday to be able to be somewhat pain free? There are days that I do forget to take the naproxen in the morning. So, I know I’m not in “remission” because I’m in pain. So, isn’t it fruitless to judge how the RA is if one is taking a form of ibuprofen? After reading comments on this blog, I am coming to the understanding that there really is no such thing as “remission,” and that this is a lifetime disease with it’s good days and bad days.I guess I will be on my cocktail of Meth, folic acid, and naproxen for the rest of my life. What an eye opener! Was only diagnosed a month ago. Took the major leap of faith and swallowed my first weekly dose of toxins (methotrexate)after staring at the pills for several hours,and the daily doses of Meloxicam, prednisone and folic acid. Have seen some improvement, still in daily pain though. Managing to continue working as a visiting nurse for but by the time I get home, I’ve got nothing left in me. I’m just coming to the realization that this is going to be my life from now on. I was under the illusion that these would put me in the magical world of remission and the drugs would stop. I’m really embarassed to say I had no idea (did I miss this class or was it simply not taught-think this might be the case). Thank you Kelly and everyone who shares here. I’m getting the education on this disease that might have gotten me diagnosed earlier had I known. Just want to say this is one of the best websites that I have been on for information. My son is 15 and was diagnosed with JIA at 11. He has been on alot of medications, including methotrexate and has been on infusions of Remicade and Orencia. The Orencia is what has really helped him and put him in “remission” even though we as his parents and his doctor have had to explain to him that he still has the JIA and it can flare at any time. It is very hard to explain it and to understand it at my age let alone his age. He just keeps a positive attitude and keeps going along. The key is to stay positive and go with the flow. Thank you for this website! I have had RA (luckily correctly diagnosed at the onset) since Spring of 2006. Because I did some research when diagnosed, my first treatment was, at my request, the use of antibiotics (minocin). It worked for me. So for the past 7 years I have been in “clinical remission” or “symptomatic recession” roughly 90% of the time. There have been some setbacks, where the disease reared it’s all-too-ugly head and manifested in a strong display of joint flare-ups. Always caused by issues with the medication (*started on generics, then the brands were switched and the new brand did not work, back to the old brand then they changed their formula, later on some issues with conflicting antibiotics in my system causing major problems…). Each time I have been able to fight my way back, using only the antibiotics (now using Brand name products only). No question, going DOWNHILL happens FAST – like falling off a cliff. Regaining the status of “in clinical remission” is like climbing back up that cliff..very slow, takes a huge amount of effort. Meanwhile, using a walker, wearing wraps on ankles, knees, wrists, whatever hurts…until finally the joints no longer are causing pain, and for all intents and purposes, I seem to be “perfectly normal”. But all the while I am totally aware that this disease is IN ME. No, I do not have visible evidence of the disease. My hands are fine, wrists are strong, I have no morning pain. But I know that this disease is lurking, hidden, somewhat inactive but probably doing things inside to my heart and lungs that I have no way of preventing. I make sure that my cholesterol levels are uber-healthy, that my blood sugar levels are NOT at a risky level (I test periodically to be sure), that my blood pressure is in the “normal” range. Have to make sure there is nothing assisting the RA in doing damage to my heart! But it is indeed like living with the Sword of Damacles hanging over my head. I want to think that I will be one of the few that can live a LONG life, to the age of 90 or better, with this disease still in remission. I am planning on that. This is a fight I want to win. My mom has been in complete remission for decades – no treatment, no damage. My rheumatologist hasn’t used the term remission. When I have been doing better and he doesn’t detect inflamation, he says that the disease is ‘quiet’ – for now. Last check-up he said it was ‘active’ again and upped my Arava. 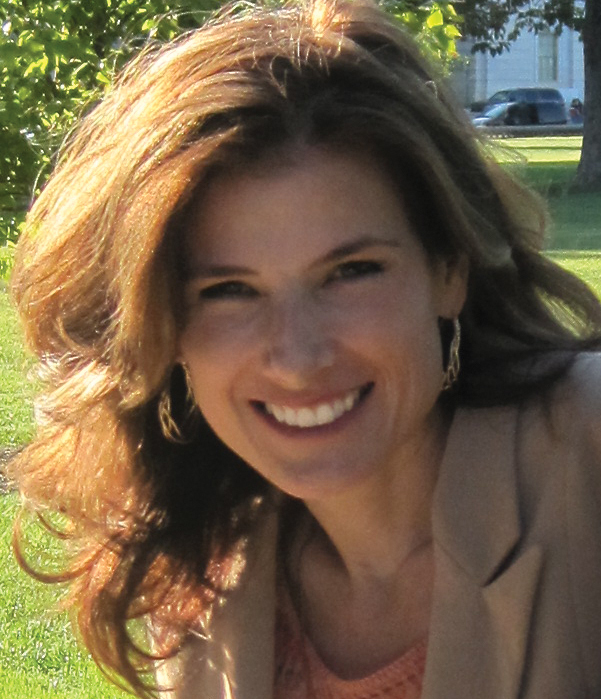 I’m on triple drug therapy – almost three years since first flare and diagnosis. I’m totally confused. My ra is currently classified as in remission on the basis of serological results and lack of visibly swollen joints. One irony is I don’t show swelling like most people. My recent x-rays indicate “mild” damage (erosion?) in my hands. I did see a hand x-ray but have not been able to discuss it with my rheumy whose last day is 12/31 or a hand surgeon but it appeared to me I have zero cartilage in my left hand. ANY gripping causes pain in both hands. I built a doll house for my grand-daughter using common shop tools. By the time I was finished, i had to take the first pain meds I’ve taken in years and spend 2 days in bed. I’ve also recently developed trigger finger in my off hand, ring finger. A horribly painful cortisone shot failed to affect it although it did reduce swelling after the damage of the actual shot healed. I’m taking no ra drugs since mid-August when I suspended MTX for major dental surgery. The only problem I’ve had during that time is over-use from hand tools. I’m also being closely monitored for heart issues. If I read between the lines my PCP is watching for the first signs of a-fib, an apparently common malady in RA. The hands are slowly coming around but still stiff and unable to make a fist without pain and stiffness. They’ve been resting since Christmas Day. I’m really unsure about what to do next. I feel if there is anyway to stay off all RA drugs would be better for me health-wise, but my “hands” are not ready for the rocking chair. Yikes! What to do. Just read about this definition of remission which apparently really should be called repression as someone stated. Repression makes more sense. Being newly dx’d, I am learning that RA is always active even w/o overt / extreme symptoms, that makes sense to me. I suppose to stop it you shut down the immune system, which is what some of these drugs do . . . at what other expense? I am currently feeling relatively well — first time since this all started over 8 months ago. And, I’ve been wondering, is a certain levels of symptoms ‘acceptable’? It sounds like here that they are — at what cost? But, if not having overt/extreme symptoms can one justify going onto a hefty / dangerous drug? How is a decision like that made??? I’ve been on the receiving end of RA for 4 months shy of 3 years now. I was extremely lucky that I went to my doctor at the time regarding another issue (shoulder injury). While I was there, the doctor spotted I had a swollen joint in my middle finger. He said he didn’t want to worry me, but requested a blood test there and then. Within a fortnight I was on medication – sulfasalazine (sp). They said it takes about 3 months to bed into the system properly, and as it turns out this was particularly accurate. By the final week of the 3 months, I couldn’t even hold a knife to butter toast, but a week later it kicked in fully, and I got movement back. As I was struggling still, I was given methotrexate tablets, which made me incredibly ill, so I had to virtually beg to be taken off them. A few months later I had to start on methotrexate injections, as they said some people don’t have such a bad reaction to the injection. I still feel terrible 3 days a week due to it, but it’s better than the tablets. The reason I mention this is that for the first year, the tablets alone were enough to keep me feeling normal, and I was working full time as usual. Roll on to last October and I was starting to struggle with day to day things, finally resulting in me leaving work this May. I honestly wouldn’t advise anyone to make the mistake I did, which is to think I’m fine and its managed within the first year. Ironically this week (the week I’ve started the contract termination due to ill health) I was told I’m in remission. I sat there in disbelief wondering why I’m in so much pain and that the pain killers I’m taking hardly help, and I started to feel hopeful. I said I’d get on the phone and beg them to cancel my termination, and I’d go back part time, but it turns out remission doesn’t mean the same thing with RA as it does with other illnesses. I was told I’m in “remission as far as the ultrasound scan shows, and there was no joint damage”. Oddly they said that blood tests could contradict this, but not to worry. Then I was told I have to take the medication and as I’m waiting on a hernia operation (it’s all roses here!) they won’t alter the medication until 3-4 months after that, and if the RA doesn’t get worse (worse? I’m in remission, thought I), they’ll lower the dosage every 4 months, unless it flares up. So now I’m left in somewhat of a limbo. When I bring up needing stronger painkillers I get fobbed off with talk of anti inflammatory tablets (naproxen, which I already take on bad days), and now I’m baffled as to what all this means. I know from experience that if someone hears remission they’ll instantly say “oh you’re fine to work”, when the reality is I can’t walk more than a few yards due to pain. I’ve also got a very painful back, due to a road accident 12 yeas ago, which was managed by gym sessions I can’t do due to the hernia (umbilical), leading to back muscle weakening. So, if in the first year of RA and on low medication and feeling fine, don’t go out and think you’re fine and get a mortgage like I did, as things can rapidly change! The worst part is now feeling like I’m spinning in the wind. Am I ill or aren’t I? Initially my RA hit me like a train, incapacitating me within a matter of days. I went from being a healthy and athletic 21 year old to having problems dressing myself in the morning. However, fortunately, I responded very well to the mix of methotrexate/folic acid/plaquinil. I also improved my diet (scare on the glutin, milk, preservatives, and fried food and high in vegies, fruit, fish) although it wad pretty good to begin with. It’s been almost three years since my diagnosis and last month my doctor declared that I’ve reached clinical remission since I’ve been basically symptom free for over two years with no apparent bone damage either and blood counts are normal (albeit slightly high)! Only once after a stressful situation at work did I get a minor flare for two days, but then it went away. I know it’s largely the medicine that helps, because I stopped them once to see what would happen and the symptoms returned. I’m now back to my pre-RA health and fitness! I ran my first half marathon this year; something I never thought I’d do again with RA. Agree with re-wording of “remission” in RA. Should not really be defined as such since this phrase can mean so many things, and as far as I am concerned, this phrase should not imply the need for ongoing medication. I also feel joint (synovial) activity should be constantly checked, at least via ultrasound, (which, incidentally I have never had in 15 years of having inflammatory arthritis!). This is my first time on your site. I was diagnosed at the age of 30 and am now 42. My symptoms started with roaming weakness throughout my fingers for several months and eventually had a flair in my knuckle on my left ring finger. I had no other symptoms. I went to the walking clinic and they thought it was gout, but also checked for RA due to my grandma being diagnosed at the age of 70. Well my RF factor came back about 10 points above normal so barely positive. Since diagnosis I have had minimal swelling, but pain off and on. I have been through plaquenil, arava, methotrexate, sulfasalazine, prednisone, and medrol. I took myself off methotrexate after several years because the doctor wouldnt discontinue it and the nausea was getting progressively worse with each dose. Didn’t notice any difference after stopping. Prednisone I was on at diagnosis and thought i was going to die. Will never take again. My blood pressure and pulse bottomed out. I was white as a ghost. Could barely function. Nauseous. Sulfasalazine I got projectile vomiting after first dose, so that was short lived. I am currently on Arava and Plaquenil. I also take Celebrex for other pain/discomfort. I never had xrays done unless it was for a non-RA issue. I recently switched to a different rheumy because I felt my first doctor of 12 years wasn’t listening to me anymore. The new rheumy did all my blood work over and found the RF factor to be normal at 18.2 and anti-CCP to be normal at <15.6. My new rheumy says that the pain I am experiencing is not related to my RA, but to other issues that she doesn't know what it is. Is it possible I don't have RA at all? My new rheumy is talking about weaning medications at my next appointment in a couple of months. Kind of nervous at this point. I have wondered for several years if I had RA because I don't have classic symptoms of swelling and pain, but roaming pain that can stay for just minutes to maybe an hour before moving on. It doesn't stay in one place for any length of time. To answer your question, yes it is possible you don’t have RA. It might be more likely you have a mild / early case, sometimes diagnosed as palindromic rheumatism/ RA. You are in a difficult position of knowing the future so you can decide whether to stay on treatment. Also, it’s possible the 2 dmards you are on are already suppressing the overt swelling or other more severe symptoms. I cannot decide by the blood tests because there are many who are diagnosed with negative results, that tend to be more positive over time. It makes sense since it’s a progressive disease – but is only obvious in retrospect / looking back. Another idea: there is a rare self-limiting version of the disease that could have resolved during the years of dmards you’ve been on. That’s more rare than the mild case, controlled by dmards tho. It’s your decision and I hope your new doc listens better. If you go off all dmards, I hope you could go back on if you noticed symptoms. As someone who lived with mild RA / RD for 2 decades and then a severe progressive case, it is devastating & less likely to respond to dmards.